What causes mold in a house? Well, there are several factors that contribute to the development of mold. Mold is usually a result of the right combination of factors, not one single thing. Understanding the causes of mold is important when attempting to prevent and eliminate household mold. If you fail to eliminate the causes of mold, mold will simply return as soon as you clean it up. In addition to telling you about things that may cause mold in your house, we’ll tell you how to prevent mold caused by those things. It’s important to understand that mold has to come from somewhere. There are hundreds of different types of mold in the environment and when mold spores drift indoors through an open window or door, or when people carry mold spores indoors on their shoes, clothing or other items, those spores then settle on household surfaces. Leaky roofs or flood waters can also bring mold spores indoors. If the mold spores settle on damp surfaces, mold usually begins to grow there. To help prevent mold from coming in from the great outdoors, keep windows closed during times when the mold count in the area is high. You can usually get that information with your daily weather report. Fix any windows or roofs that leak so water from the outdoors cannot come inside, as well. When asked what causes mold in a house, most people immediately think of excessive moisture. If there is a leaky pipe under your kitchen sink, you may find mold growing there. If water seeps in around basement windows or through a damaged roof, you may notice a musty odor or find mold growing there. If you’ve experienced flooding in your home, you are likely to find mold growing in many places. Even if you have not experienced flooding, though, and have no leaky pipes or other leaks, you can still develop mold growth in your home. Mold grows best in warm, moist environments. That’s why mold is often found in bathrooms; the warmth and moisture from the shower create a good environment for growing mold. Fix any leaky pipes, leaky windows or other areas where water leaks in. Turn on the exhaust fan in the bathroom when showering. Install a dehumidifier in any rooms that still feel damp or smell musty. There are hundreds of different kinds of mold. While most kinds of mold prefer warm environments, some grow in cold areas. Some can even grew in freezing temperatures. Warmth is not what causes mold in a house in all instances, but it does often combine with humidity to create an environment in which mold grows well. Of course you need to keep your home at a comfortable temperature but just keep in mind that, especially during damp weather, warmer air is more likely to lead to the growth of mold. When thinking about what causes mold in a house, many people don’t think about airflow. However, mold is less likely to grow in well-ventilated areas because the spores don’t settle on any surface long enough to begin to grow. That’s one reason we are more likely to find mold in places like bathrooms and basements, where there is often less airflow than we find in other areas of a home. If the current HVAC system in your home does not provide adequate airflow, that can be a fairly costly thing to fix. However, fans can help; for instance, run the exhaust fan in the bathroom while showering to improve ventilation. For further help determining the cause of mold in your home as well as ways to correct the problem, you can schedule a free consultation with a mold removal specialist. For further help determining the cause of mold in your home as well as ways to correct the problem, you can schedule a free consultation with a mold removal specialist. Follow this link to find a list of specialists in your area. In addition to helping you determine why you have a mold problem in your home, a specialist will make sure you’ve located all the mold and help you develop a plan for removing it. The initial consultation is free and even if you plan to do the clean up yourself, you’ll get plenty of useful information from the consultation. How Does Mold Grow - Information about how mold grows and how to prevent mold in your home. 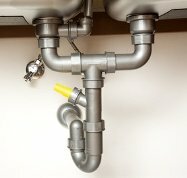 How to Find and Stop a Water Leak - How to check to see if there is a water leak on your property. 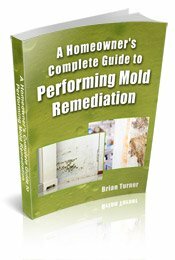 What to do to prevent mold.